I am over the moon for all the unexpected floral prints I've been seeing. Wallflowers these are not. 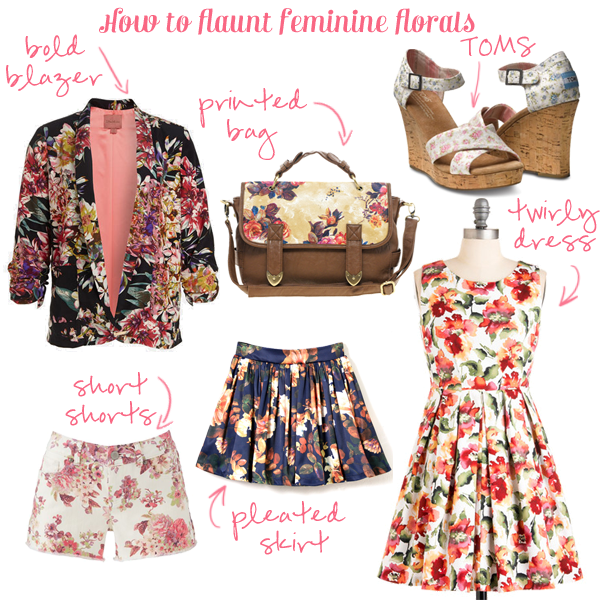 This season is all about the bold florals. To keep it from looking too Hawaiian-touristy, though, make sure the print is sophisticated and multi-colored. Big prints work on partial outfit pieces (like on a blazer or a pair of shorts). Smaller prints work well on every day items like shoes. Emerald green was declared the color of the year by Pantone, but you wouldn't know it by all the minty green that has inundated the shops. Emerald may be the critics choice, but mint wins the popular vote, for sure. 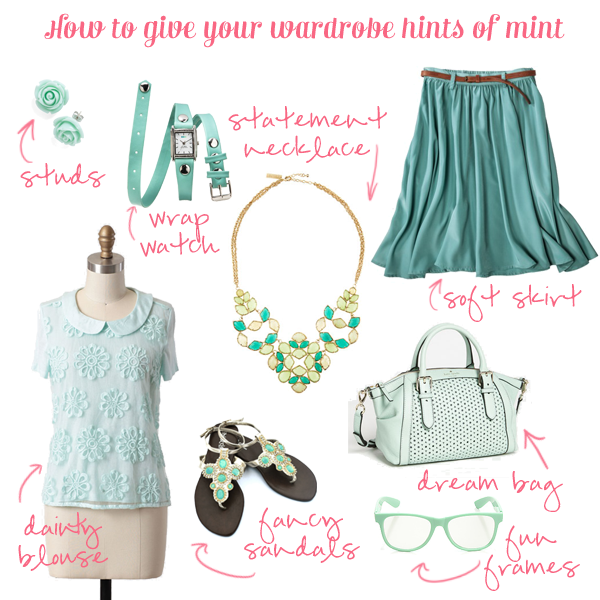 I like mint because it looks lovely on most everyone. I love it in small doses paired with crisp white and gold. earrings | watch | necklace | skirt | blouse | sandals | bag | glassesWhat about you? 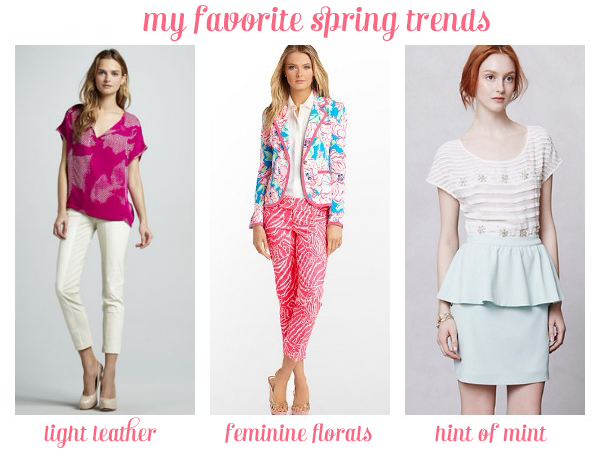 Which spring trend are you currently coveting?